The aorta is a biological lifeline designed to deal with multiple dynamic forces and haemodynamic stresses in our daily activities. Yet it’s elastic versatility and structure make it susceptible to damage in many pathological states, be they congenital, inherited or acquired. Imaging is crucial in the management of patients with aortic diseases and have become the cornerstone of diagnostic, management and prognostic protocols and key in many clinical guidelines. A number of non-invasive imaging methods are available for assessing the aorta with tailoring imaging regimen to the patient and pathology over the period of a lifetime. 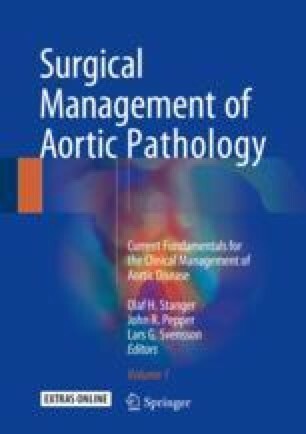 In this chapter we aim to discuss advantages and limitations of various imaging techniques and to review their clinical applications in various aortic congenital and acquired diseases.